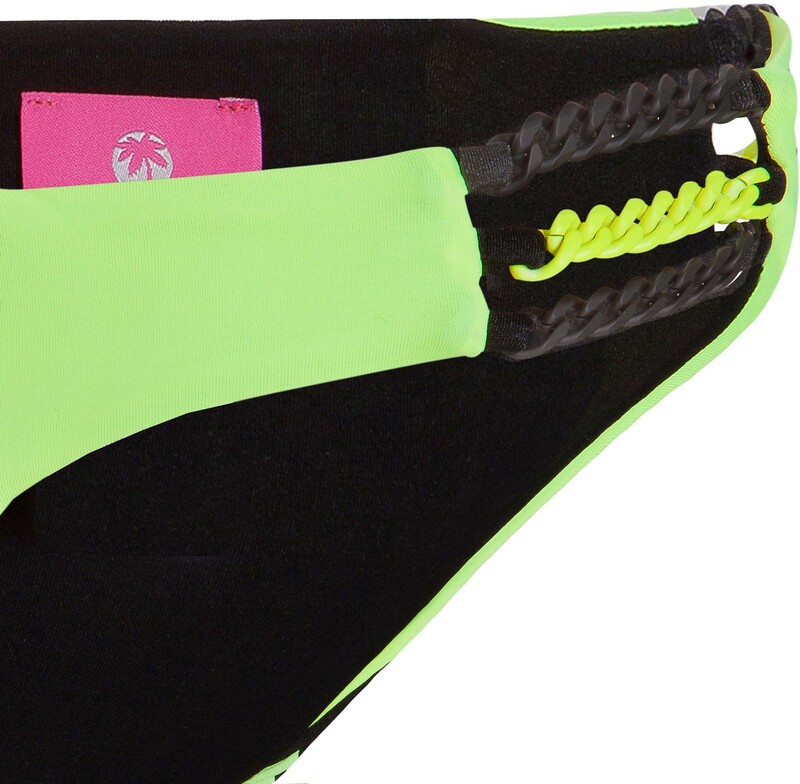 This ultra-flashy, neon, designer bikini will put you in the center of attention. 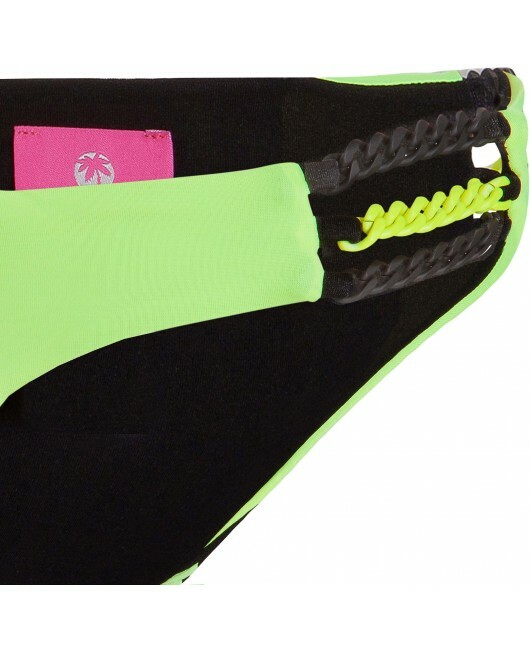 a very unique 3D houndstooth fabric is combined with a fluorescent yellow color. 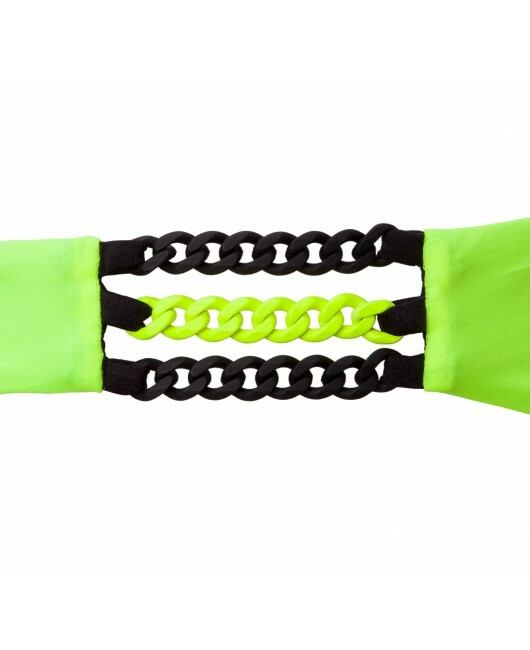 The bottom is embellished with three perfectly matching rubberized chains in black and neon yellow. 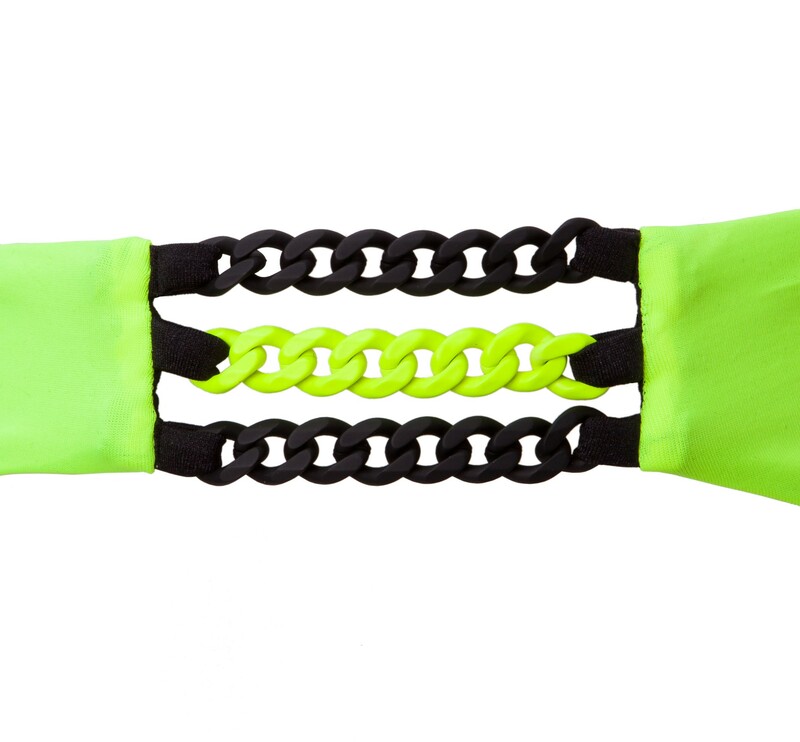 The push up bikini top has removable pads.